The architecture in downtown Albany is like none other in the United States. This tour will reveal the rich history of the city through the creative works of the architects who built her. 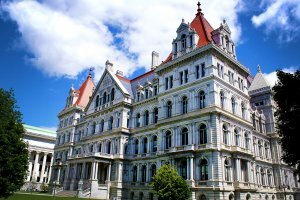 Learn what the Olde English Pub has to say about early Dutch America, uncover the hidden faces at the SUNY Administration Building and the drama surrounding the construction of the State Capitol.